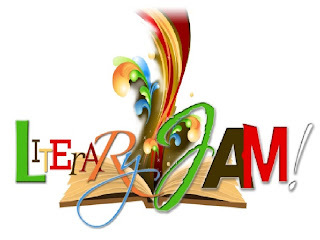 For the 9th year in a row, Motown Writers Network is hosting The Essence of Motown Literary Jam and Conference and we're inviting you to be apart of a magnanimous event that helps strengthen literacy in Metro Detroit and network Michigan's literary community, while celebrating the written world. SOME EVENTS ARE FREE TO THE PUBLIC! Are vendor tables still available? Yes, they are. We have currently at the time of this writing ten vendor tables avaialbe for $50 dollars. Click here to reserve yours. There will be no vendor tables purchasing the day of the conference, but you can RSVP online and pay at the door. Unpaid for tables will be utilize for charities on a first come first serve basis. And why aren't the events being held in one location all weekend long? Why are some of the events for free? Where are the events for this year's conference? The November 9th event is being held at Sound Cloud Studio at 1301 W Lafayette, Detroit, Michigan. Parking is available for free on Lafayette and the entrance to the loft style studio is on Brooklyn. Security will be on that side and signage should be out to help get you inside. If you are interested in Open mic spots it's suggested you arrive earlier than 6pm to sign up. This event is for everyone until 7:30pm. Grown Folk Poetry/Passion Fruit, takes place in the same building starting at 7:45pm. No one under 18 will be allowed. Thank you! Nov 11th will be at the Charles H. Wright Museum of African American History 315 E Warren, Detroit, Michigan starting at 5:30 pm. Detroit playwright, Raquel Draper presents, CHATLINE - the stage play. Tickets are $20 purchased at the door, but if purchased before November 9th online HERE, you can get your tickets for only $15. When are the FREE events? Nov 9th - the entire night is free! Nov 10th - Free events are as follows. Ballroom only events starting at 9:30am will be free. This includes workshops, poetry panel and the vendor table access. Also events held in the lobby as well are free to the public. Only events held in the Green room & the class rooms requires a writer's pass purchase of $40 dollars. Nov 11th - The CHATLINE play is $20. There are no free events on this day.